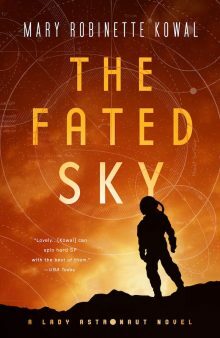 Mary Robinette will be at the LTUE 2019 Symposium in Provo, Utah, from Thursday, Feb 14 to Saturday Feb 16th. Register here. You know the beginning and the end, but how do you get from one to the other? Authors give their favorite strategies for working up to the midpoint and breaking into the third act. Your narrator might not have a name, but their voice and style can add another dimention to the story. Creating great narrative voice and weaving it seemlessly into the story. A survey of some of the most common story outlining methods with their pros and cons. Writers of every ethnicity, gender, and orientation are making waves in science fiction and fantasy. Come learn more about these works and the important impact they have on all of us. Not to be blasphemous, but a world can have magic without having a highly structured magic system. How to write magic when it’s exact workings are not known. You may love your characters, but how do you get the audience to like them too? Authors will talk about creating protagonists that people root for. It’s difficult to craft a compelling science fiction story, and even harder to do it in a short narrative. Come talk about how Ray Bradbury honed his process hundreds of times over, and celebrate the masterpieces that cemented in place his legacy. Science Fiction on the Modern Stage: The New Frontier? It’s been done successfully. Little Shop of Horrors, Rocky Horror, Starlight Express. Even the word “robot” originated from stage production. But science fiction in theater has suffered the same stigma as it has with film, if not worse. With the surge in acceptance on screen, we are seeing the seeds of acceptance on stage. Writing is telepathy–it transfers information from the writer’s brain to the reader’s. Some ways are better than others. Don’t let your meaning get lost in transmission. How word choice, sentence structure, and other technical elements can help you say everything you want in few words. Many major authors get their inspiration from somewhere. Talk about the major works that really gave you and other published authors the vision and drive to explore new worlds. Come listen to a live recording of writing’s fab four: Brandon Sanderson, Dan Wells, Howard Tayler, and Mary Robinette Kowal.